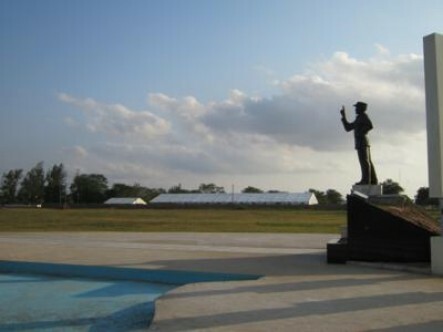 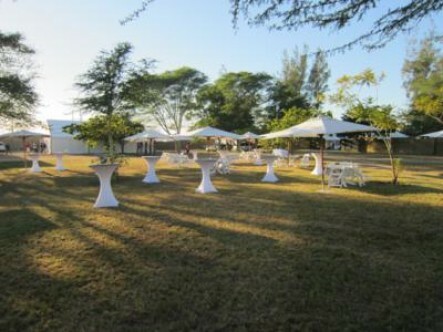 Chilembene, in rural Mozambique, was the setting for one of the most exciting events on the MPR Hiring calendar. 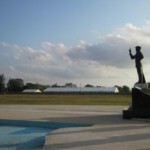 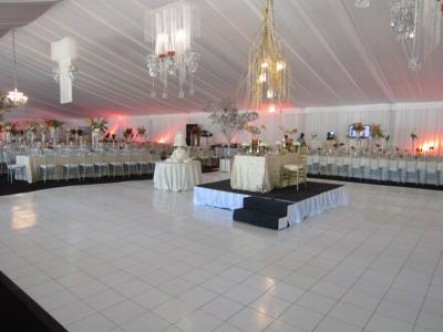 800 guests travelled from near and far to attend the wedding of two much loved and respected people – one a descendant of the first elected president, Marechal Samora Moises Machel. 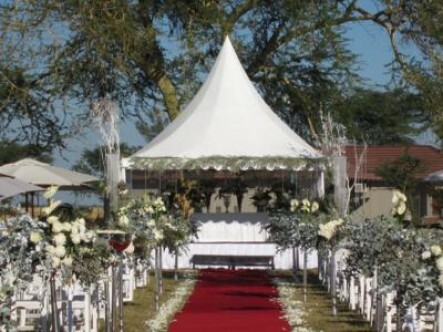 Aside from the romantic aspect and the adventurous setting in the Mozambican bush, the event was a logistical challenge but the assembly of our stunning tents went off perfectly. 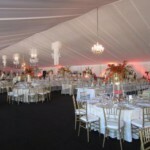 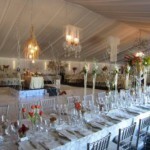 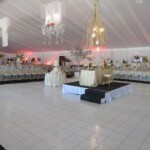 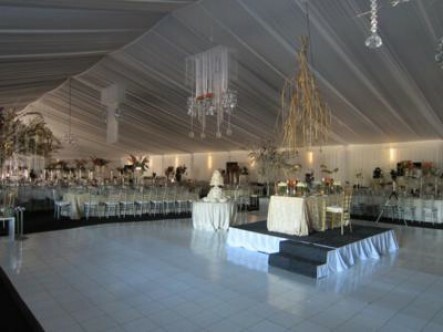 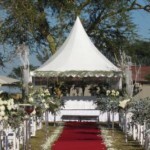 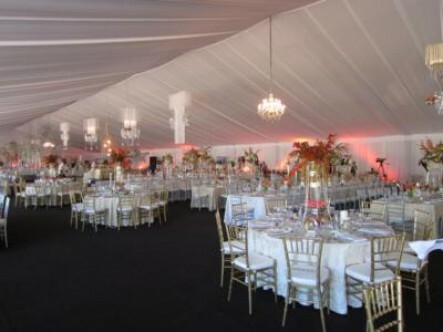 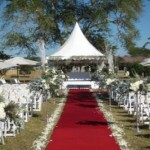 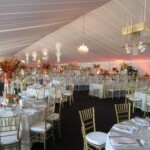 It’s no small undertaking to transport and assemble not only the top of the line marquee tents and flooring systems, parasol umbrellas and air conditioners. 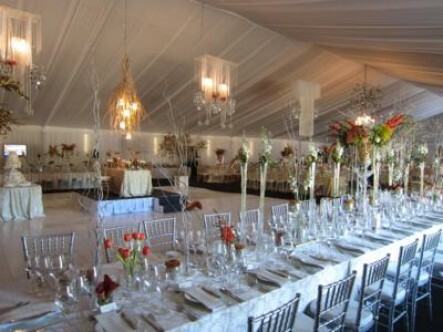 The draping was spectacular and of course moving that many tables. 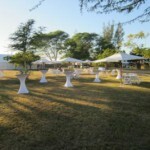 We made magic out in Mozambique – and the happy couple made magic out there on the glossy white dance floor. 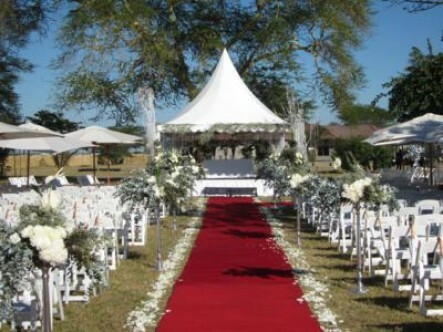 Congratulations to a super family and may you live blessed lives together. 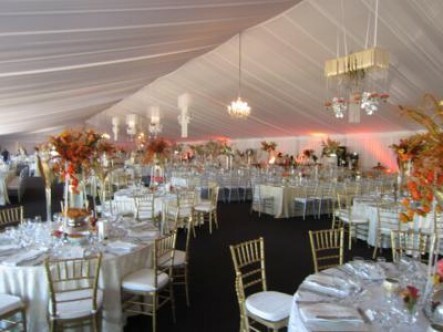 Thanks for having us. 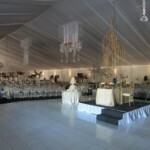 It was our pleasure and honour to work with one of the top wedding design companies in the world.